This post is sponsored by Imperial Sugar. 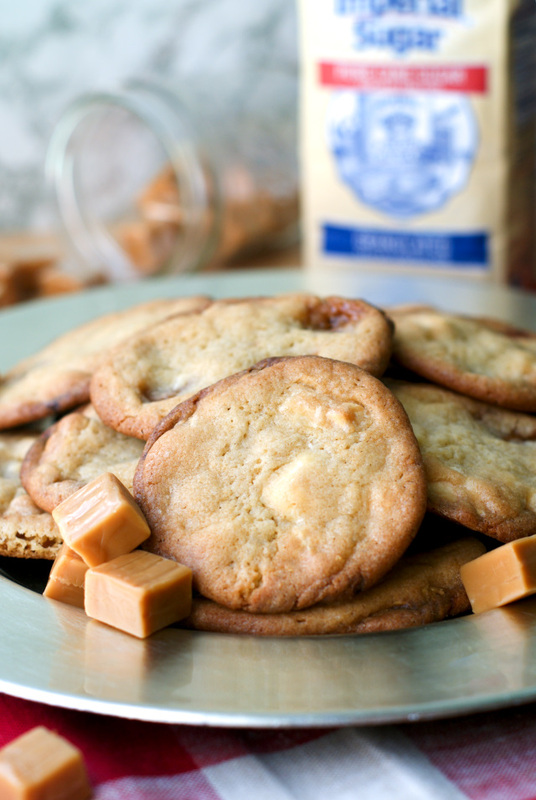 Chewy White Chocolate Caramel Chewies are a sweet and golden cookies that are full of chewy caramel chunks and sweet white chocolate. This has been such a fabulous week. I, along with bloggers from around the world, have been celebrating all things chocolate for the epic #Choctoberfest celebration! We've come together to share tons of delectable chocolate recipes using goodies from our friends at Imperial Sugar, Lindt Chocolate, and more! #Choctoberfest would not have been possible without our sponsors, including our 2015 Gold Sponsor, Imperial Sugar! 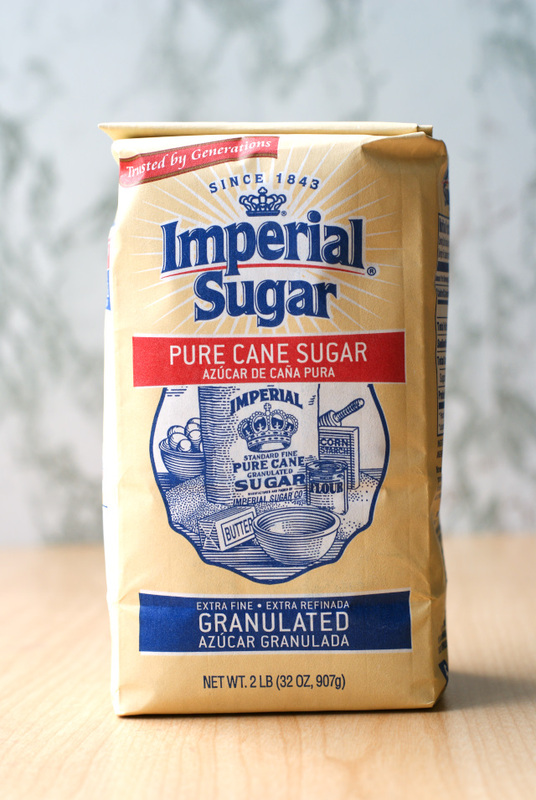 Imperial Sugar has been a trusted name in family kitchens since 1843. Their sugar products and sweeteners are made from non-GMO cane sugar and ensure consistently delicious results. We've used Imperial Sugar whenever we use sugar in our recipes this week, and the results have been a chocolate lover's dream come true! Here are my #Choctoberfest contributions! 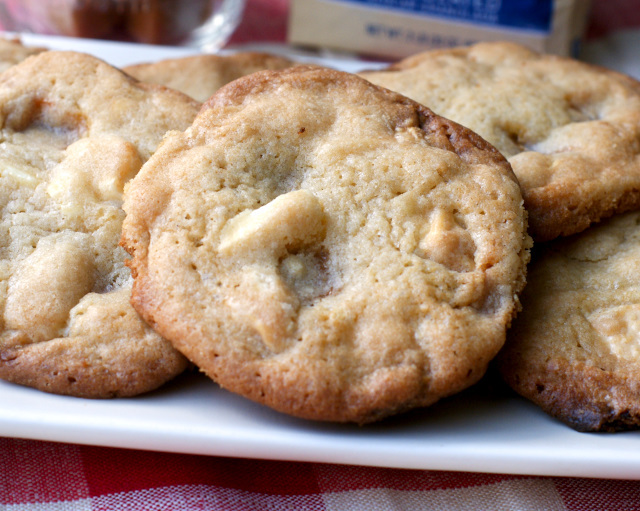 and, of course, these lovely White Chocolate Caramel Chewies! These fabulous chewy cookies, hence the name chewies, are full of hunks of white chocolate and caramel bits, sweeten with both Imperial Granulated Sugar and a little bit of Imperial Light Brown Sugar. The caramel bakes to a golden crisp along the bottom of the cookie making the chewiness just right. Every bite has a sweet hunk of creamy white chocolate and the edges have a light crisp that balances it all out. They were a hit with my family and a nice contrast to your usual chocolate studded cookie. My husband says that he can't wait to dunk some in some milk later tonight for dessert. I think I'll be having one with my coffee in the morning! Yes! If you'd love chewy cookies and want to give these a try I highly recommend it! If you're looking for more sweet inspiration, you can find lots of great stuff from Imperial Sugar on Pinterest, Facebook, Instagram, and Twitter. You should also totally drop by their website for recipes and a coupon! A big thanks to all of the #Choctoberfest Sponsors for such a fun and yummy week: Imperial Sugar, Barlean's, Lindt Chocolate, Just Hemp Foods, Divine Chocolate, Tahana Confections, Bless This Mess, LuLu's Chocolate, Pearson Farm, and Rescue Chocolate! In a mixer, mix the butter and sugar until smooth. Beat in the egg and vanilla. In a medium bowl, mix together the flour, baking powder, baking soda, and salt. Turn mixer on low speed and add the dry ingredients a little at a time until just combined. 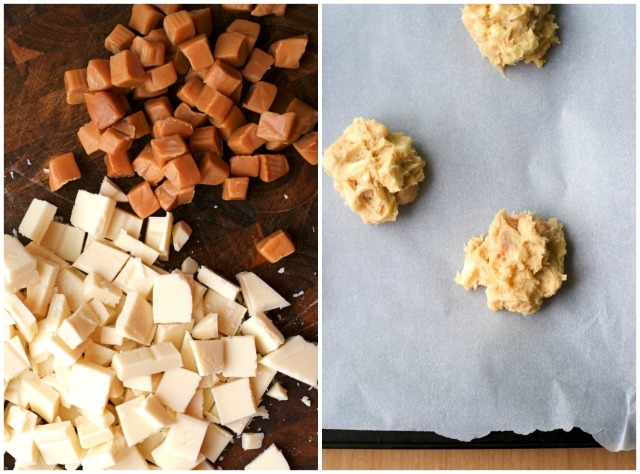 Stir in the white chocolate and caramel pieces. Do not over mix. Refrigerate cookie dough for 10 minutes. Drop by rounded spoonfuls onto the baking sheet leaving about 2 inches in between each cookie. Bake for 12-14 min or until the edges are golden brown. Slide the parchment paper with the cookies on it off of the pan and onto the counter to cool. For the white chocolate, I used 2 pkgs. Lindt White Chocolate CLASSIC RECIPE Bar cut into chunks. This post is sponsored by Imperial Sugar as a part of #Choctoberfest with Imperial Sugar. All thoughts and opinion are, as always, 100% my own. There is a fabulous #Choctoberfest Giveaway happening NOW! This ends TODAY!!! Make sure you go and enter because there are over $350 in prizes to be had! Be sure to check it out! Hi! When do you add the white chocolate & caramel to the mix? After you add the dry ingredients. I edited it in!